The largest division of the Allen County Prosecutor’s Office is the Criminal Division. It is the primary responsibility of the Allen County Prosecutor’s Office to prosecute adult felony cases occurring in Allen County throughout all stages of the judicial process. 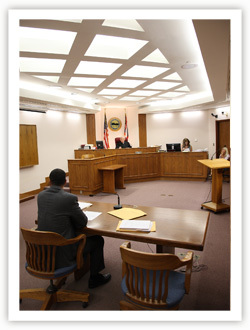 Adult felony cases are prosecuted in the Allen County Court of Common Pleas. In Ohio, there are five degrees of felonies in addition to aggravated murder and murder. The levels of non-murder felony offenses range from a felony of the fifth degree, which is the least serious felony charge, to a felony of the first degree, which is the most serious felony charge. 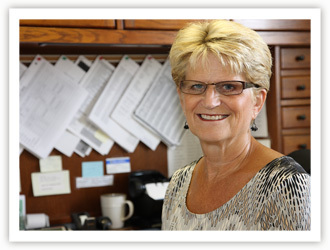 The Criminal Division of the Allen County Prosecutor’s Office handles hundreds of criminal cases every year, involving all levels of felonies, as well as murders and aggravated murders. The office of the Allen County Prosecutor represents the State of Ohio at grand jury, presenting evidence and instructing the grand jury on issues of law. The grand jury is the first stage in felony prosecutions in Common Pleas Court. The grand jury is comprised of 8 persons selected at random from the public, along with a foreperson who is appointed by a judge from Common Pleas Court. Each grand jury serves for four months and the Allen County grand jury typically meets once a month. The grand jury does not try the case but must decide whether there is sufficient evidence to formally charge (or “indict”) an adult with a felony level crime. Criminal Division prosecutors also handle felony arraignments, where the judge informs the defendant in each case of the charges that have been filed in the indictment, and where a bond is set. The prosecutor may make bond recommendations or objections to bond at the arraignment. Following arraignment in all felony cases, prosecutors appear in court for pretrial conferences. Pretrial conferences are meetings held with the judge, prosecutor and defense counsel, at which motion hearings and trial dates are scheduled, and at which time the parties discuss the various legal issues in each case. Pretrials also provide a time for prosecutors to meet with victims to discuss the case, if the victims have opted to attend the pretrial. 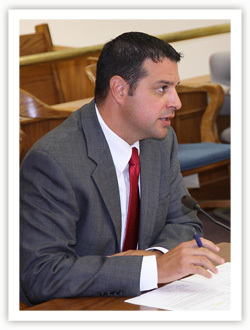 When motions are filed that require evidentiary hearings, such as motions to suppress evidence, the Criminal Division prosecutors appear at all such hearings, present evidence and argue the state’s position to the court. Many felony cases are ultimately resolved with a change of plea, at which time the defendant enters a guilty plea after having had a chance to review the evidence, file motions, and weigh the case against him or her. A prosecutor must appear at every change of plea hearing, to ensure the matter is handled appropriately on behalf of the State of Ohio. and planning all aspects of the case to be presented at trial. After a defendant has been found guilty (whether by pleading guilty or following a trial), a sentencing hearing is held. 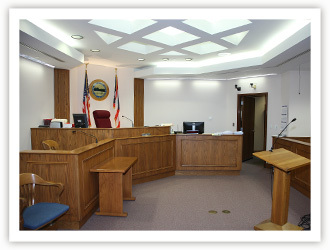 A prosecutor must appear at all sentencing hearings, at which time the prosecutor may present arguments as to the sentencing on behalf of the State of Ohio and the victim in the case. The appellate prosecutors in the Criminal Division are responsible for responding to appeals filed by convicted criminals in Allen County cases who are trying to get their convictions reversed. These prosecutors spend extensive time doing legal research, preparing written briefs, and arguing cases in the Third District Court of Appeals and the Supreme Court of Ohio.